My first trip to Panama City was almost exactly one year ago. I was rather smitten by the city then; I fell for it hard. Even with the lack of decent signage on the streets it is relatively easy to get around and the people are wonderful. So is the food. I truly didn’t think that I could enjoy the city any more than I already had. Fast forward to yesterday and it turns out I was wrong. The city is getting better as it ages without losing much of the charm or friendly feel that made it so wonderful last time around. It probably didn’t hurt that for this trip we had a guide and driver, Blad. Sure, we had some miscommunications that resulted in him not showing up for an hour or so after we thought he would, but that just gave us an opportunity to start drinking local beers earlier in the day. And we did. A lot. Having Blad drive us around meant we had no worries about a designated driver so all five of us were able to thoroughly enjoy the various drinking opportunities, along with the other tourism bits. I’m generally not a huge fan of a guided tour but in this case it was a private guide who was willing to do pretty much whatever we wanted. We revised the itinerary several times, even after we showed up, based on the time constraints we had. He was also willing to deal with specific special requests we had, like the need for a van to carry five of us rather than cramming in to a smaller car. And the need for that van to have a cooler and the first stop after leaving the airport to involve acquiring beer for that cooler. Yeah, it was like that, and it was wonderful. Our first stop on the day was a restaurant on the Amador Causeway. 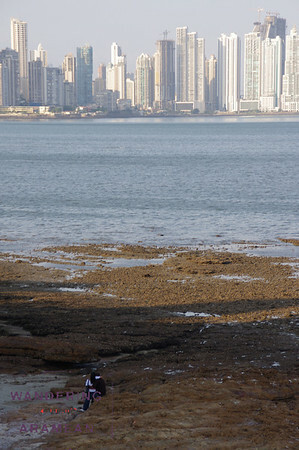 The causeway was built from landfill from the dredging of the Canal and connects three small islands off the coast of the city proper. For most of the past 100 years the Causeway was the property of the United States, serving as a CIA listening post base for the US’s operations in South America among other famed responsibilities. Now it has been developed into a series of parks, hotels, restaurants and discotheques. There is also a Smithsonian research post on one of the islands and a number of marinas, including ferry trips to some of the nearby islands. 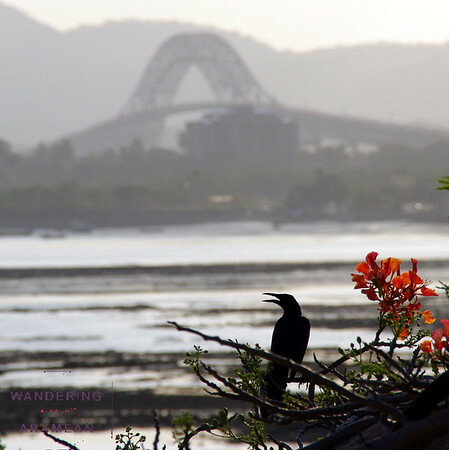 Oh, and it also still serves as the gateway to the Canal, offering magnificent views of the ships passing through and of the Bridge of the Americas, the main north-south crossing for the Canal and the Pan-American highway. 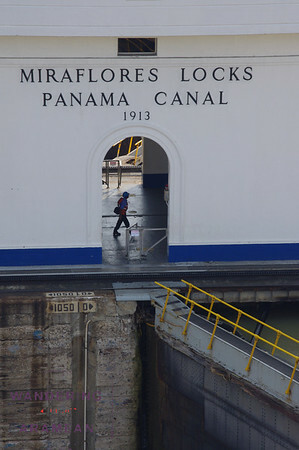 After lunch (breakfast, really, since we all slept on the redeye flights into town) we headed north, up the Canal to the visitor center at Miraflores. The operations of the Canal and the locks still leave me in awe even a year later. I could easily sit and watch the ships flow through for hours. Well, it would be easier if there were shade on the fourth floor observation deck where the views are really the best. But it is still completely worth the trip up to the locks for an hour or two. Seeing a ship descend 18 meters in mere minutes and then be moved along to the next section of the Canal with such precision is amazing, especially given the tight tolerances they are dealing with and the fact that it is pretty much the same system that they used 90+ years ago when it was originally built. The fact that the large container ships passing through pay more than a quarter million dollars each is also pretty impressive. The canal clears about $5MM daily in revenue from the fees charged to ships making the transit. After visiting the locks the value of having Blad as a guide truly showed itself. I know the route on the roads between the Causeway, Miraflores and Casco Viejo (our next stop) but Blad delivered a surprise for us. 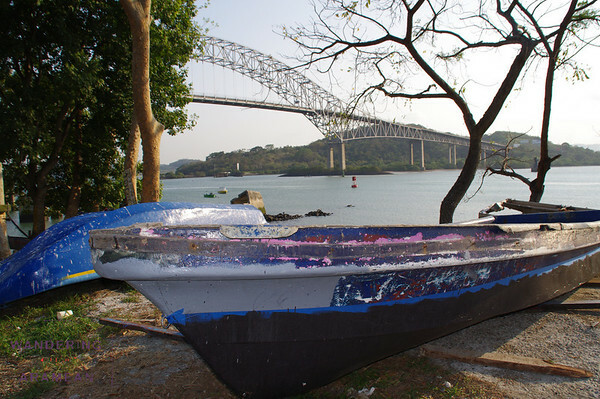 We pulled off the highway and onto a series of back roads and eventually to a parking lot pretty much directly under the Ponte des Americas, the Bridge of the Americas. Even better views than are available from the Amador Causeway and the ability to walk right down to the water if you want. 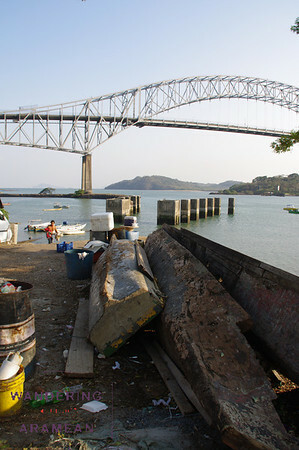 The area is used by fishermen, too, as a launch point and for cleaning the daily catch. That definitely adds to the aura (and smell) of the spot. But the views are phenomenal. Definitely worth adding it to the tour itinerary, assuming you can find it. 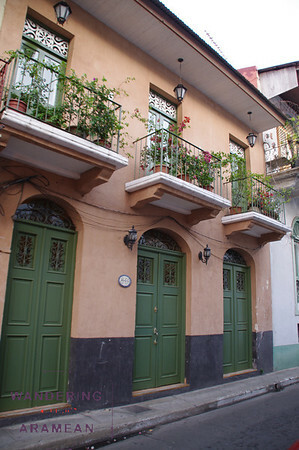 As the afternoon wore on we headed back down into the heart of Panama City and the Casco Viejo. This section of town was the most changed sine the visit last year. There was a lot of construction then and there is still a ton today but the effects of the regentrification efforts are clear. A number of new restaurants, cafes, shops and hotels are now open in the neighborhood while the open presence of druggies and prostitutes is diminished a bit. Don’t get me wrong – they’re still definitely still present and noticeable – but overall the neighborhood is more visit-able than just a year ago. In addition to walking along the sea-wall and enjoying the sunset views over the Pacific Ocean we also stopped in for a quick drink at one of the new restaurants, Sibaritas Club. Prices were definitely higher than other restaurants in town – more in line with what you’d pay in the USA, not in Panama – but not outrageous by any means. A meal for two with a bottle of wine would run around $75, depending on just how much you choose to eat. But the wine selections are quite nice and the menu and food looked great (we didn’t have time to eat). And then our 7 hour sojourn in Panama City was complete. Yeah, it was a bit rushed and we were exhausted from the partying all night Friday night and then going straight to the airport and only sleeping a little bit on the plane and then diving right back into drinking again. 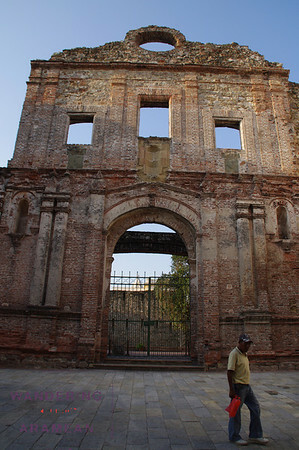 But it was still a great time and an opportunity to see that Panama City is getting better with age. Guess I’ll have to come back, again. Sunset across the bay. Time to head back to the airport! I told you it is a wonderful place. I can’t wait till I can move there. The restaurants are amazing as are the people and the shopping. Its a great place to visit and to live. 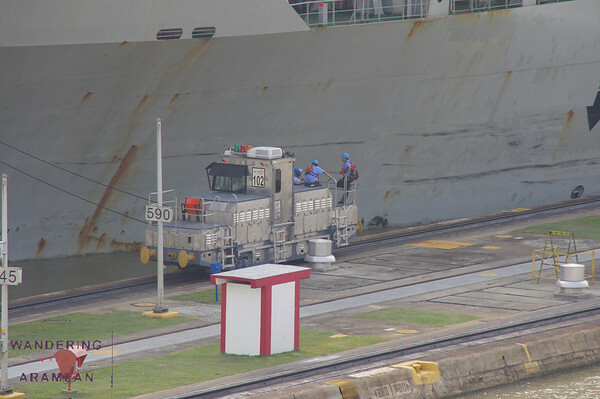 Three years ago, I was on a Caribbean cruise that did a partial transit of the Panama Canal. The cruise ship entered from the Caribbean side and went as far as Gatun Lake. From there, my friend and I took a river boat through the rest of the canal (and took a bus back to Colon, where the ship was docked). The photos you posted reminded me of how much I enjoyed being on the Canal, especially when a very large freighter came up behind the river boat–wow! Construction on the widening of the canal was just starting at that time, so I’m curious as to how far it’s gotten. I had forgotten that you did the canal crossing before. It does look quite fun to do on the water as well, though I haven’t gone all the way up to the Colon side yet (I understand it isn’t particularly nice). It is definitely interesting to watch the large and small boats stacked into the locks together; the sense of scale is pretty amazing. As for the construction, you can see some of it from the tourist center and it appears to be coming along pretty strong. One of the very cools things is that the new locks will not simply dump the water out to sea, so less waste of the natural resources. 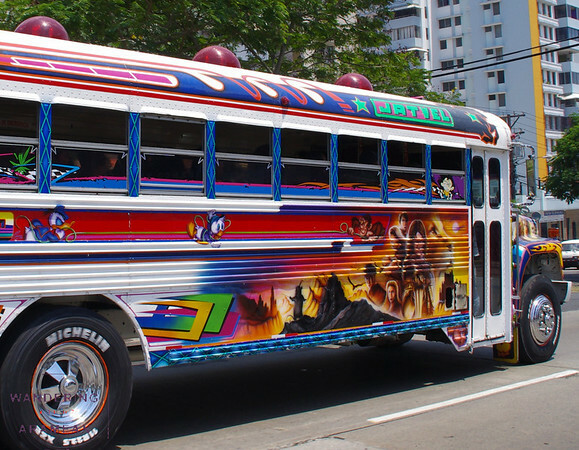 Seth can you help me locate Blad I’m going to Panama in July. Would like to set a guide for my layover trip. No problem at all…I’ll email you his info today.